If breathtaking views, fresh air and picturesque lakes are your thing, you really need to book a trip to the Italian Dolomites. A UNESCO World Heritage Site and with good reason. The 18 peaks rising to above 3,000 meters are some of the most beautiful mountain landscapes to be found anywhere the world. Tucked away in the heart of the Dolomites is the sumptuous Cristallo, A Luxury Collection Resort & Spa. It was first opened over 100 years ago in 1901 and, after a recent refurbishment, it is today every bit as decadent as it has been throughout the years. It’s long history includes serving as a military hospital during the First World War to hosting Hollywood film crews, and since opening it’s doors it has attracted members of Italian high society, European royals and celebrities including the likes of Frank Sinatra, Brigitte Bardot and Tina Turner. 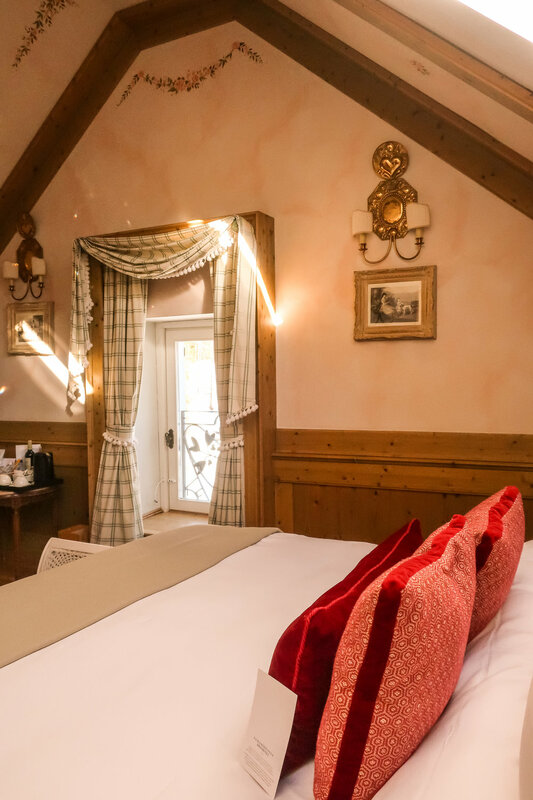 The hotel has prime position on the edge of the Italian jetset town of Cortina d’Ampezzo where is has breathtaking views of the Tofane mountain slopes, especially at sunrise and sunset when the peaks turn a stunning shade of pink. Located in the Veneto region of northern Italy, Cortina d’Ampezzo is just a two hour drive north from Venice and has long been popular with international travellers looking for world-class skiing. Recently it has also attracted wealthy visitors from Milan and Rome, many of whom now have second homes in the Ampezzo valley. We hired a car from Venice airport with our route giving us a beautiful drive through vineyards into the mountain area. Having a car during our stay meant that we could easily get out to explore the surrounding lakes and beautiful mountain areas that make this such a special part of the world. 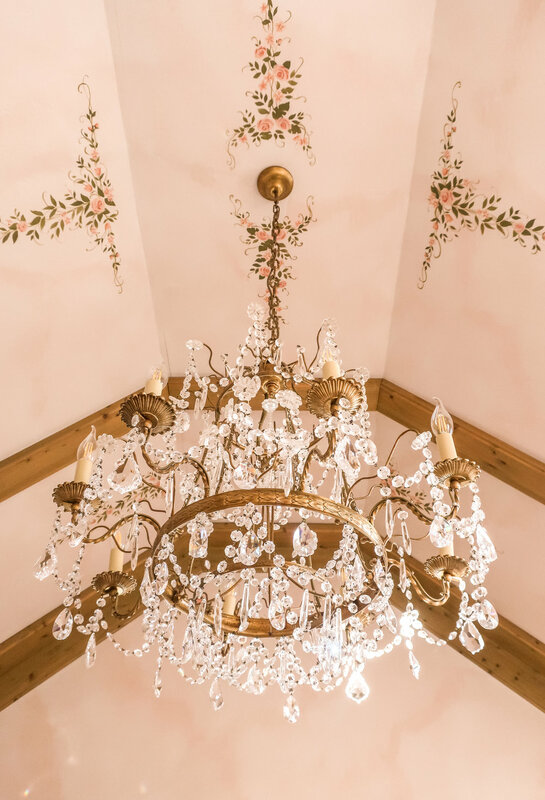 Cristallo, A Luxury Collection Resort & Spa underwent a large refurbishment in 2017, with great care taken to preserve the building’s original features, pale wooden panels, intricate hand-painted flower detailing and delicate cornicing give the rooms a traditional feel while large pendant chandeliers add an extra touch of luxury. The 74 rooms, including 20 suites and two presidential suites, are every bit as luxurious as they are comfortable. Rooms at the front of the property have spectacular views out to the key landscape of the Dolomites and many have a balcony on which to enjoy this. Inside, the lounge sofa, warm fabrics and cosy bed make this a great spot to unwind after a day out in the mountains. The Cristallo Lounge Bar is a nice spot to start off your evening, with floor to ceiling windows out to the mountains. Fire places are lit in the adjacent area while a pianist plays throughout the evening adding a nice atmosphere to evenings here. Photographs of the hotels decadent past line the walls giving a taste of what an icon Cristallo, A Luxury Collection Resort & Spa has been throughout the years. La Stube 1872 is a small, cosy restaurant that has a uniquely mountain feel. The wood-panelled walls and large antique majolica stove create a unique atmosphere for the intimate dining experience where just four tables are tucked into each of the corners. Serving up an expansive vegan menu of creative Italian dishes alongside fine local wines, La Stube is an extra special spot for a delicious romantic meal. Breakfast is served in La Veranda, a large, open space with expansive mountain views. The buffet-style breakfast has a good selection of cereals and fruits and a juicing machine available for guests to create their own drinks. Cristallo’s most impressive dining experience is Il Gazebo, a circular room with 360-degree mountain views. Having made a reservation with the Restaurant Manager well in advance, it was really disappointing when we came down for dinner to find that a Sheikh from the Middle East had last minute reserved the whole restaurant for his entourage and the hotel prioritised this, moving everyone else to the breakfast room while the entourage traipsed in and out in their jeans and jumpers. This was a real disappointment for us. Cristallo, A Luxury Collection Resort & Spa boasts an enormous 5,200 square foot spa, complete with luxury treatments rooms, an oversized Romanesque indoor swimming pool, sauna, Turkish bath and a huge fitness centre with panoramic views of the Dolomites. The pool area makes a great spot to lounge at the end of a day, where you can continue to enjoy the spectacular views. While the fitness centre is complete with a designated health coach as well as interactive classes, including yoga, throughout the day for those who may have over indulged a little on the delicious local pastas. Cristallo, A Luxury Collection Resort & Spa is a real gem in what is one of the most spectacular mountain areas I have ever visited. It’s the perfect spot to take in la dolce vita, where you can spend your days in the mountains amongst the Italian jetset before then relaxing in a luxurious home from home where your every desire will be taken care of.